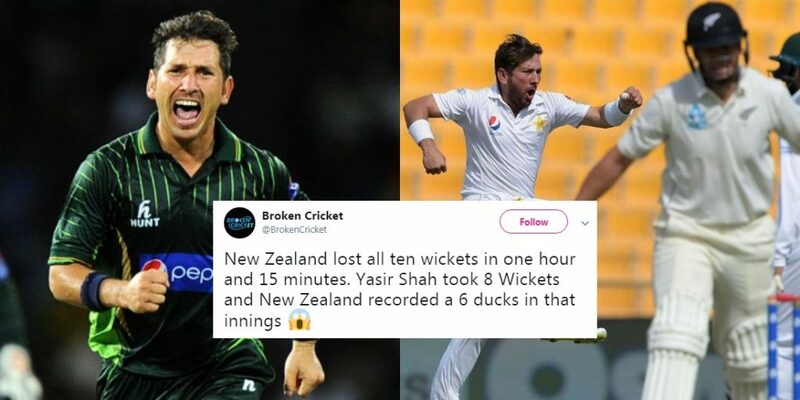 Yasir Shah Just Destroyed New Zealand With 8-Wickets And The World Is Going Insane With Praise! Cricket is literally the food that Pakistanis feed on. Leaving every sport behind, the fan following of our stars and their talent is immense. Ever since the 1992 World Cup win, Pakistan has focused on being the best in the world, and more often than none, we are exactly that! With the Pakistan Super League about to begin soon, the New Zealand-Pakistan cricket series is happening as we talk. 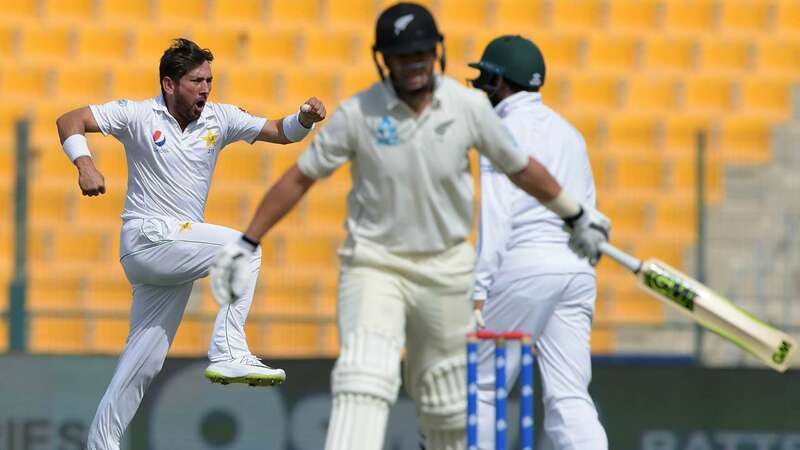 In the first Test between both nations, Pakistan batted first and put on board a mammoth total of 418 runs for 5 wickets after which the innings was declared. In reply, Pakistan has just bowled out New Zealand for a meager total of 90 runs. The reason? 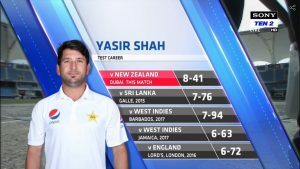 One man, Yasir Shah! The facsimile of Lionel Messi in Pakistan has done the unthinkable. A genuinely marvelous spell that ruined the New Zealand batting order. Yasir Shah, with figures of only conceding 41 runs in his 12.3 over spell – has taken 8 wonderful wickets. Yes, imagine, 8 wickets in a single inning. People cannot keep their calm in this magical moment and seem shocked, exuberant and hyper at the same time. Absolute carnage in Dubai. New Zealand undone for just 90 runs. 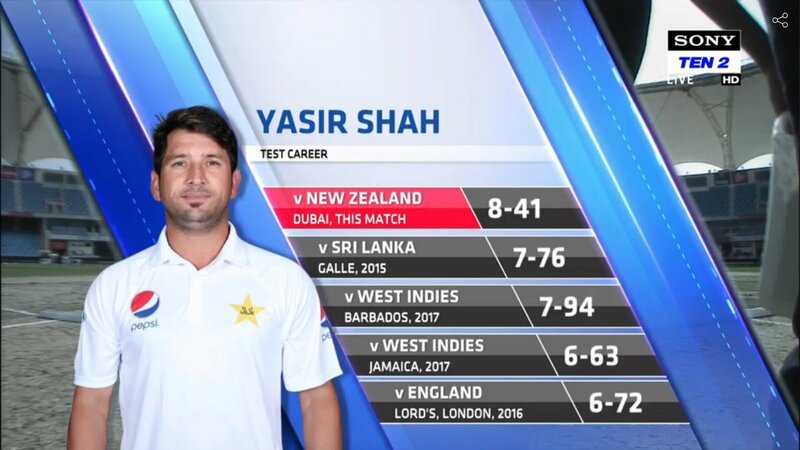 Career best for Yasir Shah. 8-40. Extraordinary! Even professionals were amazed by Yasir Shah’s splendid spell. Nobody could react to the fact that from 50 for zero wickets, New Zealand was all out for 90 runs. The unthinkable has just been done by the Pakistani magician that is Yasir Shah! Some, however, as always, were a little political in their tweets. Nonetheless, the idea has been conveyed perfectly here!